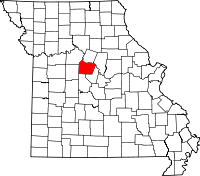 The Cooper County Historical Society, located in Pilot Grove, MO, is a member based organization that operates a Research Center at the corner of Highway 135 and Roe St. The center is open from the 3rd Friday in May until the 3rd Sunday in October, and its hours of operation are Friday, Saturday, and Sunday from 1:00PM until 5:00PM. Appointment requests for hours outside those can be emailed. In the town of Boonville, the county seat, are the Cooper County Recorder of Deeds and Circuit Clerk. Both offices are in the Clark County Courthouse at 200 Main Street, with the Recorder in Room 26, and Circuit Clerk in Room 31. The Recorder's office is where copies of property and marriage records can be obtained, while the Circuit Clerk is in charge of criminal and civic records, including divorces.